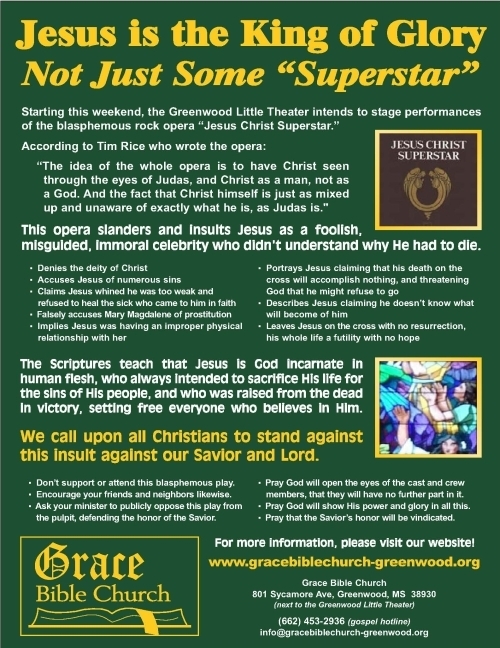 Jesus Is the King of Glory, Not Just Some "Superstar"
The Church purchased a newspaper advertisement to appear in the Monday, May 26th edition of the Greenwood Commonwealth. 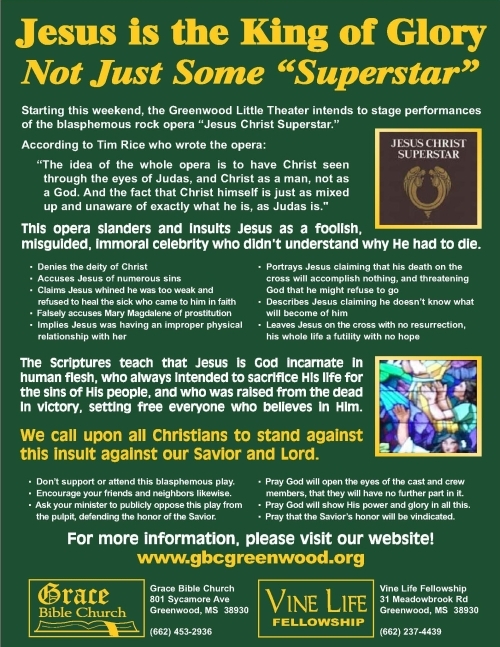 The advertisement described the blasphemy of the opera and called upon Christians to stand up against it. The advertisement was amended for Sunday, June 1st to add the support of the Vine Life Fellowship congregation.